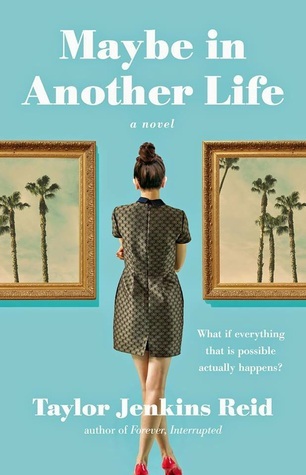 What They Say.....From the acclaimed author of Forever, Interrupted and After I Do comes a breathtaking new novel about a young woman whose fate hinges on the choice she makes after bumping into an old flame; in alternating chapters, we see two possible scenarios unfold—with stunningly different results. What I Say....This was a truly unique book. Hannah flees New York after an affair with a married man, running back to California to her best friend Gabby. On her first night back, she meets up with her high school boyfriend, Ethan, the one who got away, and he asks her to go home with him. This is where the story splits in two. In one version, Hannah stays with Ethan and begins to explore that relationship. In the alternate universe, Hannah leaves with her friends, only to be struck by a car. Each chapter alternates between the two storylines, and Hannah learns that she may have more than one soulmate, although she is blissfully unaware that she is having two different lives. I know that it sounds weird, but it really just worked. I don't want to say too much and be a plot spoiler, but I loved that some things still happened in both lives, but other things didn't seem to be much of a possibility. I also liked that the author didn't go with the easy ending, having one of the lives end up being a dream or the product of a coma. It was just a really neat ending and felt very wrapped up. Really good writing, storyline and imagination on the author's part. Thank you to the author, publisher and Booksparks for the ARC.